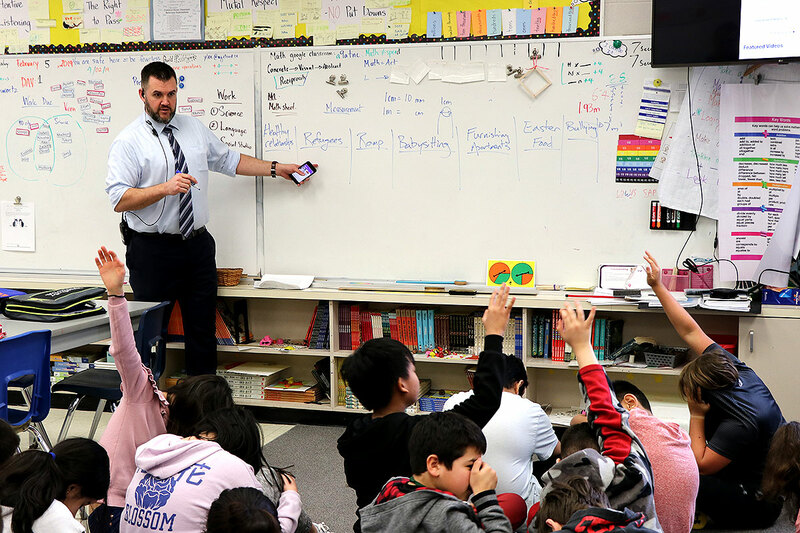 GUELPH, Ontario – Students at Brant Avenue Public School were given a unique opportunity to learn about giving back. 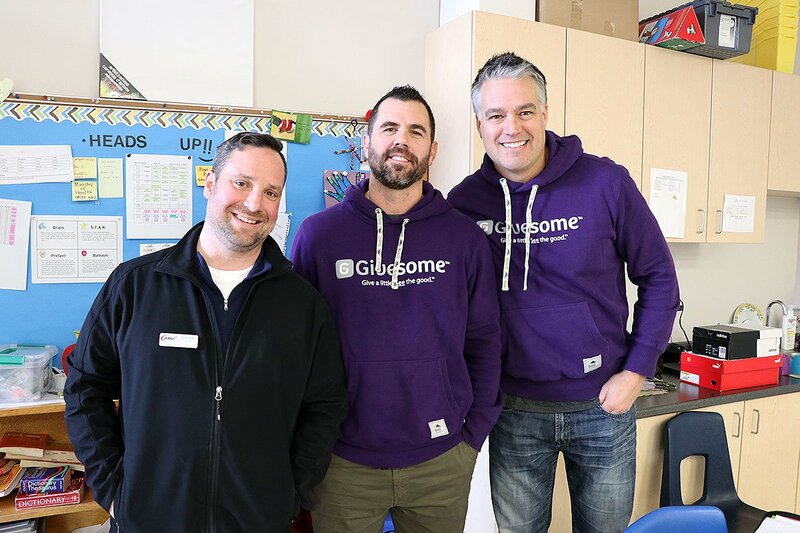 On February 5, students in grades 4 to 6 learned about generosity through a partnership with Givesome, a Guelph-based non-profit organization that allows people to donate to charities through an app and see the impact of their donations. On Tuesday, the school was visited by Givesome’s Jay Whitelaw and Adam Pender and Darrin Drake from AMJ Campbell. AMJ Campbell generously sponsored today’s project at the school and is one of Givesome’s Founding Partners. Going class to class, Principal Anderson took some time to talk to the kids about generosity, asking students to exchange stories of times in their life when they were generous. Student shared their experiences such as offering their money or time to a friend in need. The classes then reflected on how that act of generosity made them feel, and how they think it made their friend feel. Anderson explained that kids sometimes don’t know and don’t have the opportunity to give to others. And so, the school partnered with Givesome to allow students the opportunity to give back. AMJ Campbell donated money to the school so that students could support a charity or cause of their choice, which they learned about through the Givesome app. Students donated to various groups, including one that was raising money to purchase ramps to make businesses accessible, one working to furnish apartments for families experiencing homelessness, and a group raising funds to welcome refugees to Canada. While the lessons today incorporated math and financial literacy, at the heart of the exercise was teaching the importance of giving. Students discussed which projects they wanted to donate to, and why. Afterwards, they reflected on how the act of giving made them feel. In a few weeks, students will be able to see the impact their donations made, as Givesome sends donors videos of the projects they supported. The project is a great example of a school community, local organization and business partner working together to create good in the world.